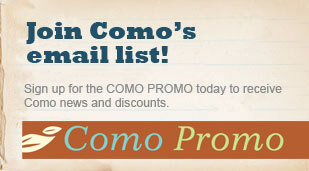 Now is the perfect time to take your class to Como Park Zoo and Conservatory! Como Park Zoo & Conservatory has recently received a generous gift from the Donald Weesner Charitable Trust to support bus transportation costs associated with field trips to our park. The Yellow Bus Fund is designed to assist school-aged children who would otherwise not be financially able to visit environmental learning centers like Como. Through this grant we are able to offset some of the cost of your field trip when you book a program with our Education Department. 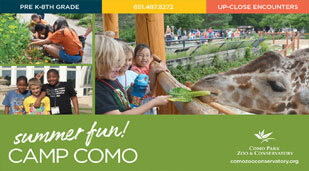 Como offers a variety of affordable, fun, and interactive programs for school-aged children that include everything from the tropical rain forest to the Arctic tundra. Programs last between 45 and 75 minutes and most can accommodate up to 50 students. For a full listing of our programs and fees, please click here. Groups are invited to complete the application form and return it to Como Park Zoo and Conservatory. Allocation of funds will be determined both by the number of students served and a statement of need. Completed grant applications should be submitted to the attention of Steph Kappel, School and Group Programs Coordinator, by mail, fax, or email as listed below. Organizations will be contacted regarding the awarding of funds upon completing the application review process. Immediately following the scheduled program, organizations are required to submit an invoice for busing fees to Como Park Zoo and Conservatory to allow reimbursement of awarded funds.